Roku is now taking on Google’s Chromecast with a new modified Streaming Stick that works with all TVs and the communication is established via Wi-Fi. You have already seen that Google Chromecast plugs directly into the television’s HDMI port and work accordingly. 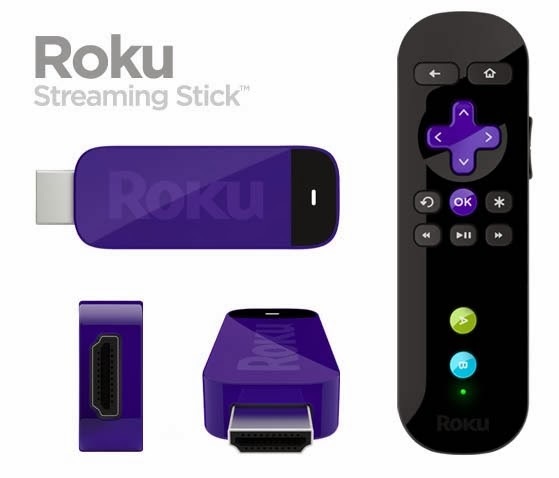 Likewise the Streaming Stick “packs the complete Roku streaming experience,” says Jim Funk, senior vice-president of product management. Additionally users can also stream Netflix, YouTube and personal media from their devices to their TVs. Some new mobile features such as the ability to cast content from a computer to the TV are on the development space. The new dongle by Roku, will offer a wider range of content than Chromecast has. But the only negative factor here is that it is more expensive. Chromecast retails for $35 and Roku $50. Here a $15 less price tag matters. As of now, users can pre-order in the U.S. from Amazon.com, BestBuy.com, Target.com, Wal-Mart.comand Roku.com and will ship to customers and arrive in retails stores in April 2014. Some news regarding the price tags are on the air like Canadians can get the new Roku Streaming Stick for $60 while U.K. and Republic of Ireland users will have at £50.